Weddings can stress you out, there is no doubt about that. One way you can relax is by drinking an herbal tea blend. I like to make my own even though there are a lot of really good commercial blends available. Try a couple of these blends. Note: I use hibiscus flowers a lot because it gives a good colour to the tea, sometimes tisanes have little or no colour and are not pleasing to the eye. Use a teaball, muslin reusable tea bag or teapot for brewing. Do not use boiling water, you should boil the water and then let is stand for 5 minutes before steeping the herbs. Steep herbs in water for 3-5 minutes depending on your taste. Add one teaspoon of hibiscus flowers some fresh chopped mint. You can use spearmints or peppermints, experiment a little. Mints now come in lots of varieties, add a little honey if needed. 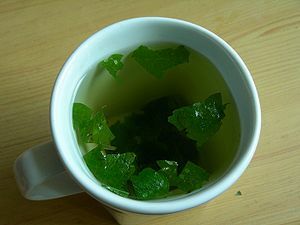 Mint is excellent for calming an upset stomach or dealing with indigestion. Add your hisbiscus flowers again, and this time pile in some chamomile flowers. This is a very delicate tea that will help you sleep and relax. Add a dash of cinnamon or spice it up with honey and vanilla pod. It’s easy to blend to your taste. Rose hips contain a large amount of vitamin C. This is a powerful antioxidant and also antihistamine. Your immune system will thank you for including them in your teas. Build your health so that the stresses will fade away and you will be rested and radiant for the big day. Add your hibiscus, rose hips, honey and steep.